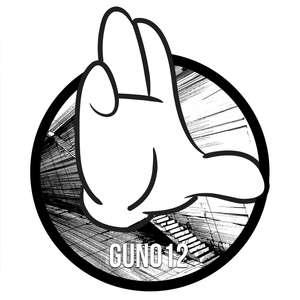 One of the leading lights to come out the burgeoning Belgian DnB scene Gun Audio deliver 3 heavyweight EP's in quick succession and the first instalment may well be the pick of the bunch. This time drawing for the services of two of the most talented upcoming producers to come out of the Russian Federation in recent years for the aptly titled "Mother Russia EP" for a dance floor damaging six tracker. Lowriderz has given previous work "The Plant" the VIP treatment, his rework of the razor sharp metallic bass and erratic rhythms make a beast of the original. Ceph's "Demons" has a mellow and unassuming intro that will catch the ravers off guard as it bursts into a growling, techy, half time roller.The pair collaborate on "Enormous Weight" and Ceph's tech fuelled basslines are complimented by Lowriderz' signature vocal sampling style, creating something that sounds like a classic Full Cycle track on steroids. "One Big Thing" is an all over the place screwface track, switching and twisting at every possible opportunity. "Python" pairs some seriously low subs with scattered jungle influences. Gun Audio are keeping up their reputation of having one of the finest talent scouting networks in the game!